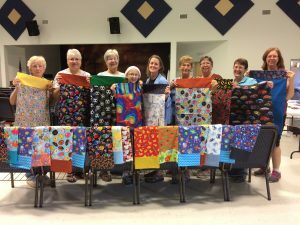 Early Spring Greetings to all our pillowcase volunteers! Three sure signs of spring are crocuses popping out of the ground, robins dotting fields and yards, and pillowcase parties! We can’t control the first two, but the third is our specialty. Below is the list of pillowcase parties we’ve scheduled so far. All events are 10 am – 2 pm unless otherwise noted. Bring your sewing machine, lunch, and a buddy. As always we provide the pillowcase kits and chocolate. 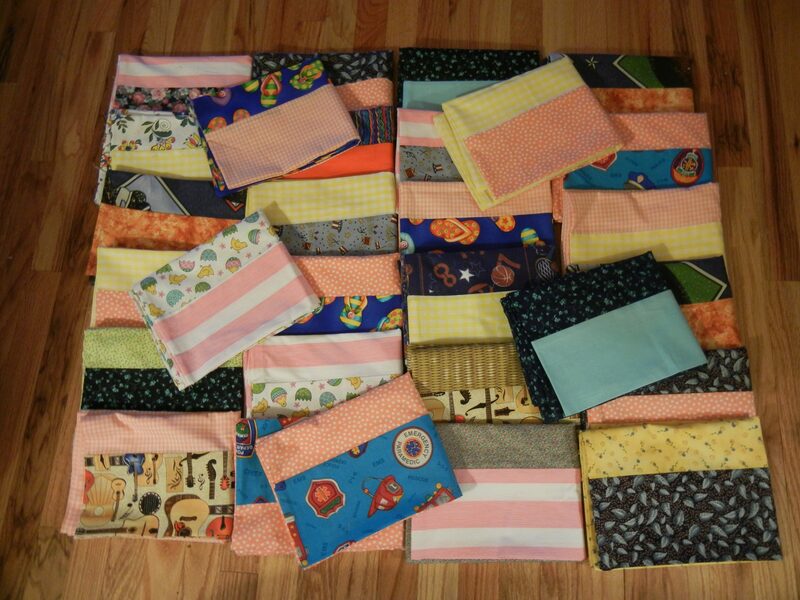 If you have any fabric or completed pillowcases you’d like to donate, we’ll gladly accept them at the events. Drop us an email with any questions. We look forward to seeing you at one or more of our events! Ms Tarello’s 7th grade students at Oliver Winch Middle School in South Glens Falls are having a great time making pillowcases for the Albany Chapter. We had so much fun sewing recently at Saugerties Library. Check out the photos and article from the Daily Freeman News here. 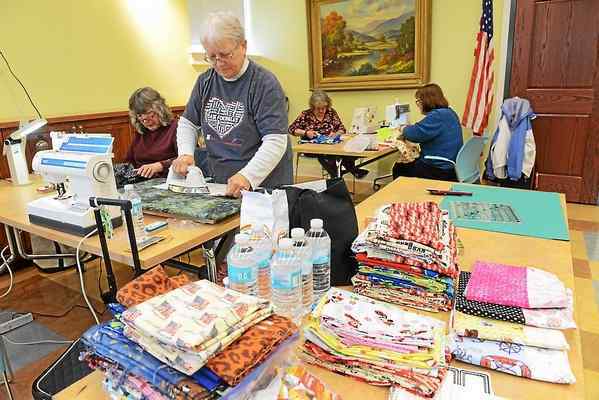 Annual September pillowcase party at the Duanesburg Reformed Presbyterian Church. 10 volunteers, 5 hours, 1 great lunch = 70 pillowcases. Fun was had by all. Thanks to Ms Shafran, her Rondout High School life skills students, and staff for the wonderful pillowcases they made recently. Lots of smiles for lots of kids. Thank you to the members of the Wiltwyck Quilters’ Guild and Kingston Kohl’s Associates who came together at Grace Church in Lake Katrine to create pillowcases! 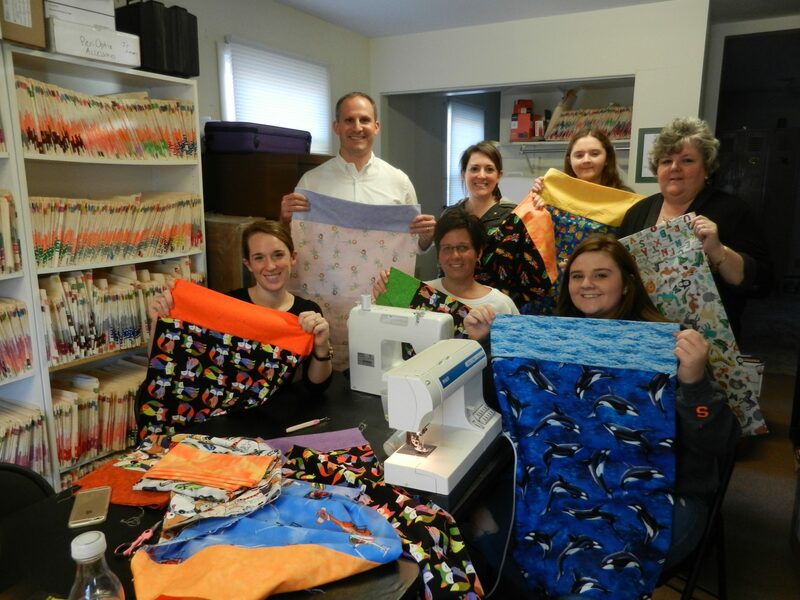 Thanks to DeSanti Family Dentistry, dentists and staff, who hosted a fun and productive pillowcase event!